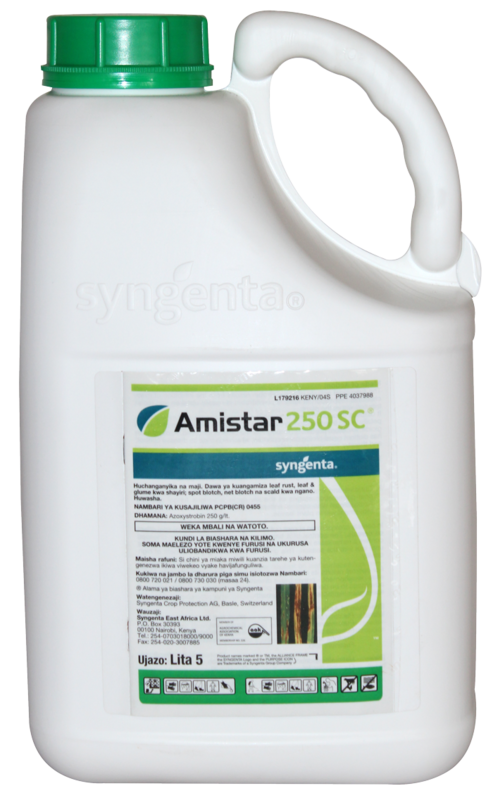 AMISTAR® 250SC is a broad-spectrum fungicide ideally suited for use in Integrated Plant Management programs. Amistar® is able to preserve the green leaf (GLA) and deliver yields greater than might be expected from visible disease control. This effect is greater than that observed from triazole-based fungicides alone. ORTIVA TOP® 325SC is the green and anti-stress top choice fungicide against powdery mildew, leaf spots & rusts in ornamental crops, peas & beans. Broad Spectrum covering multiple crops, many diseases. Good performance, excellent quality and services. 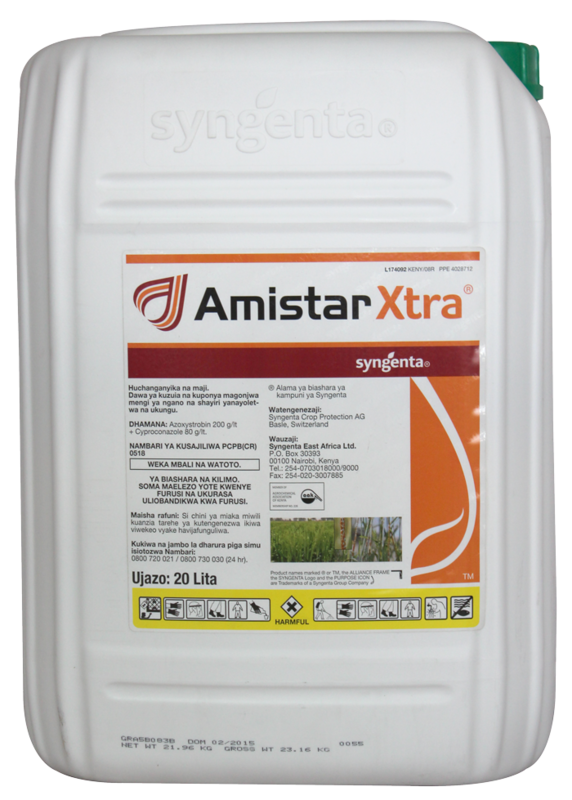 AMISTAR XTRA® 280SC is a broad-spectrum foliar fungicide with systemic properties for control of STEM RUST, yellow & brown rust, Septoria, fusarium in wheat, barley blast, net blotch, scald, spot blotch yellow rust in barley. Extra yied and quality hence more profits. Two modes of action providing a powerful preventative and early curative activity. Rapidly translocated with systemic and translaminar activity therefore protecting new growth. Prolonged leaf retention allows extended grain-fill hence increased yield and grain productivity. ARTEA® 330EC is a broad spectrum foliar fungicide with systemic properties for the control of rust, leaf spots and other major diseases in wheat and barley. Active ingredients are quickly absorbed by the assimilation parts of the part within an hour after application. Early curative activity: Recommend use when the disease is active but in early stage. 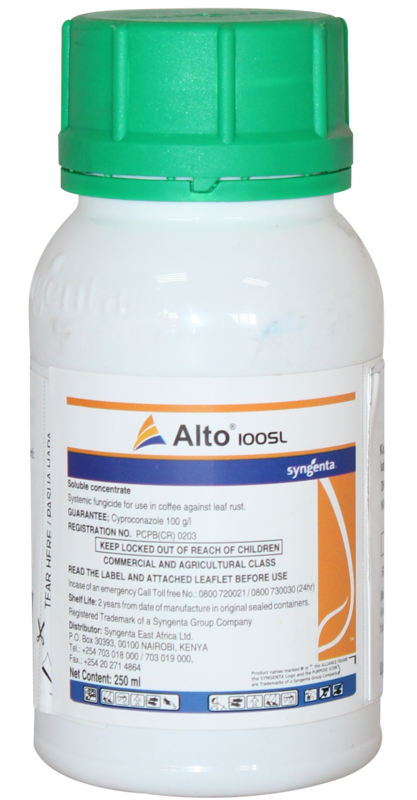 ALTO® 100SL is a fungicide with systemic and curative properties for the control of leaf rust in coffee. Good fungicidal activity at very low rate thus a minimal load to the environment. Long lasting activity hence less applications making it cost effective. Exceptional speed of penetration into the leaves securing complete disease control. CHEROKEE® 487.5SE gives the crop protection against a wide spectrum of important diseases of wheat and barley. It controls stem rust, Leaf Spot, Yellow Rust, and Septoria in wheat. Cheroke gives the crop protection against a wide spectrum of important diseases of wheat and barley. Fast Assimilation - Cyproconazole and Propiconazole are absorbed by the plant within one hour after application this gives the crop good and fast protection against disease causing fungi. When used according to our recommendations it is well tolerated by both wheat and barley. Cherokee is compatible with major commonly used pesticides. Weather Stick (Rainfastness) - Effective spray deposits on the leaf before and after 10mm of rainwash in comparison with other generic chlorothalonil based products. 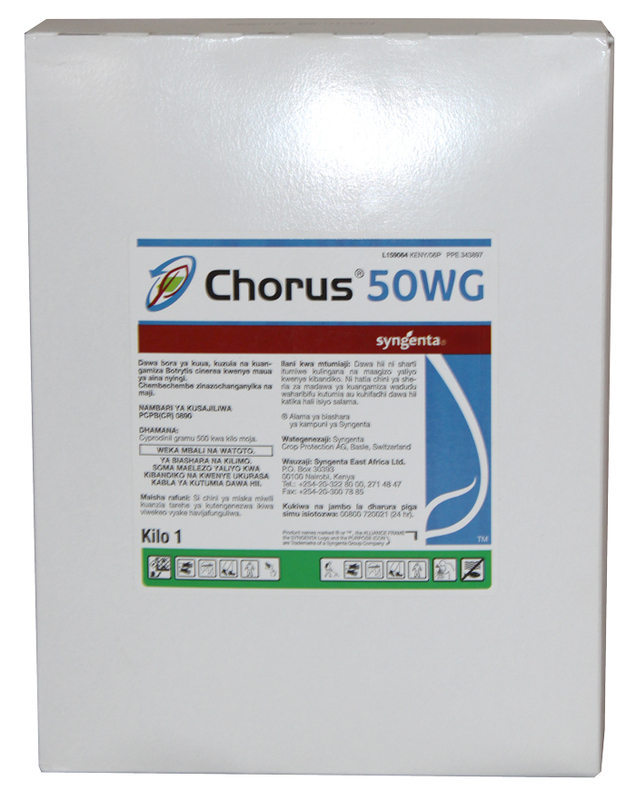 CHORUS® 50WG is a systemic fungicide for the control of Botrytis cinerea in Roses, Carnations, Statice, Lisianthus and in other types of ornamental crops. Long lasting protective activity and protects new growth. Highly systemic leading to quick abosportion and outstanding performance no matter the weather, rainfast within 2 hours. An ideal fit into IPM programs. DACONIL® 720SC is a preventative broad-spectrum fungicide with a unique multi-site mode of action. It is effective against fungal diseases that damage numerous economically important crops. DACONIL® is effective in the prevention of early and late blight in potatoes and vegetables and also used to control CBD in coffee. Does not wash off and sticks and stays where it is needed to control plant diseases.The built-in surfactant makes the active ingredient cover and stick to the leaves and berries for unsurpassed protection, even after heavy rain or watering. Stops spread of many fungal diseases and attacks the disease cells from multiple sites. The surfactant prolongs the anti-fungal effect of Daconil up to 21 days when used at recommended rates. FOLIO GOLD® 537.5SC, An innovative systenic and residual fungicide mix developed and introduced in order to improve the control in the key plant diseases like downy mildew botrytis and white rust in ornamentals/flowers. Translaminar Activity ; 50% of the active ingredient penetrates from the sprayed side of the leaf tissue to the unsprayed side giving protection to both sides. Systemic activity ensuring whole plant is protected including new growth and unsprayed parts. Wide disease spectrucm: Downy mildew, Botrytis and Rust. 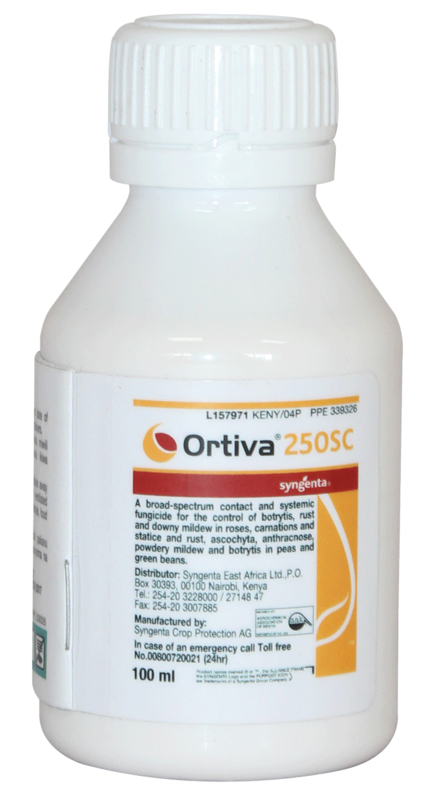 ORTIVA® 250 SC is a broad spectrum contact and systemic fungicide for the control of rusts, leafspots, botrytis and powdery mildews in vegetables, watermelon, fruit trees, roses, carnations, statice and ascochyta, anthracnose, rust in peas and beans. Greener crops for longer which increases the harvest period leading to higher yield. Able to eliminate all disease within the crop leading to higher quality produce. Enhances the crop's ability to deal with water stress. 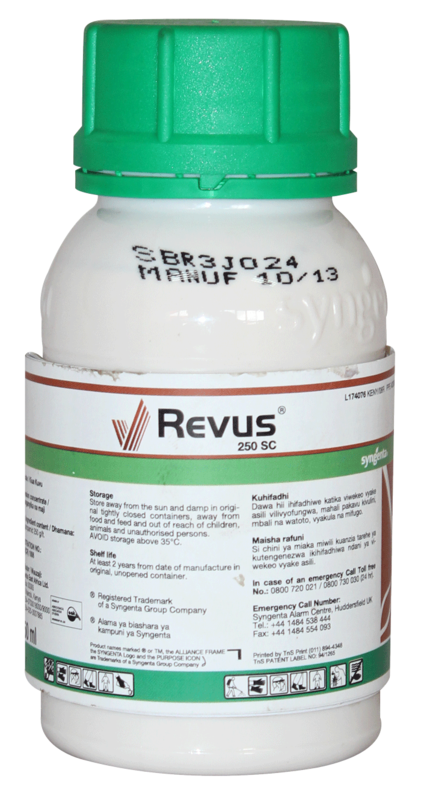 REVUS® 250SC is the new standard in the control of downy mildew and blight in potatoes, tomatoes, vegetables roses and other Ornamental Crops. Protects the crop against new infections. Prevents disease infectionof new growth. Does not easily wash off hence continued protection against diseases. 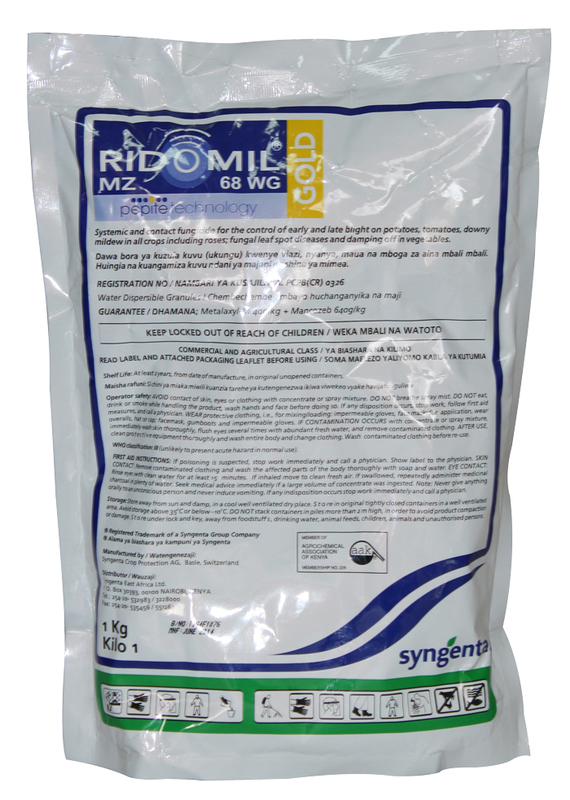 RIDOMIL GOLD® MZ 68WG is a systemic and contact fungicide for the control of early and late blight, damping off and downy mildew in potatoes, tomatoes and vegetables. Healthy crops, increased yields, high quality harvests. Excellent disease control under difficult conditions such as climate and disease pressure. Longer period of disease control hence less applications thus saving cost. Environment friendly due to pure formulation since less product is used per unit area. SCORE® 250EC is a systemic fungicide for long lasting preventive and strong curative action. It has broad spectrum disease control against powdery mildew, leafspot diseases, alternaria and rusts in fruit trees, pulses, ornamentals and vegetables. Good quality crop, safe yields. SOLVIT® 175 EW A systemic fungicide providing faster, more effective and longer-lasting control of Powdery Mildew and Rust on ornamental plants. 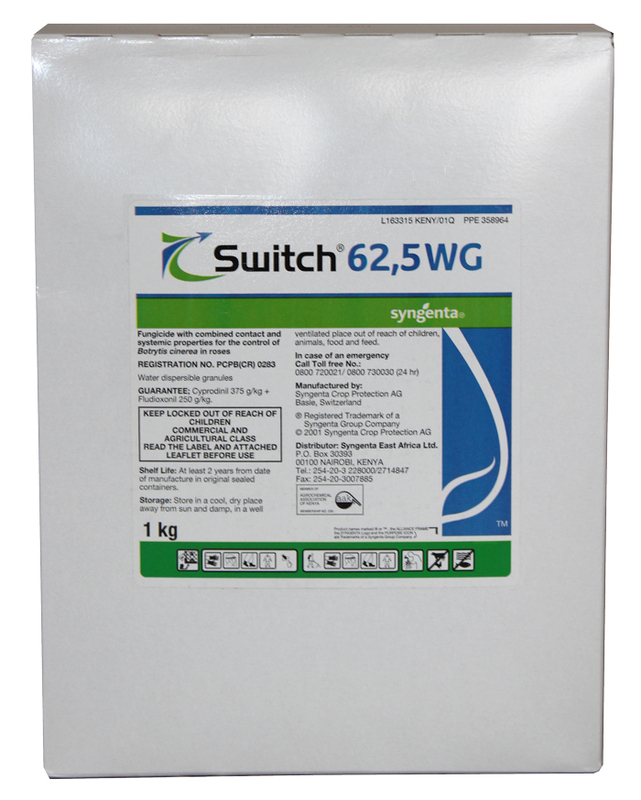 SWITCH® 62.5WG is a fungicide with combined contact and systemic properties for the control of Botrytis (Grey Mold) in ornamentals. Combined contact and systemic activity for reliable control of Botrytis. New chemistry - no cross-resistance provides a solution where resistant fungi has developed. High water solubility - no residues on foliage. Broad spectrum activity resulting in reduced number of applications and reduced cost of disease management. Versatile broad spectrum fungicide effective against a wide range of plant pathogenic fungi. Does not leave unsightly residues on treated produce. Post-harvest applications help prevent storage diseases and extends crop shelf life. No negative impacts on either the taste or smell of treated crops. Flexible application either as a drench, dip or foliar spray. 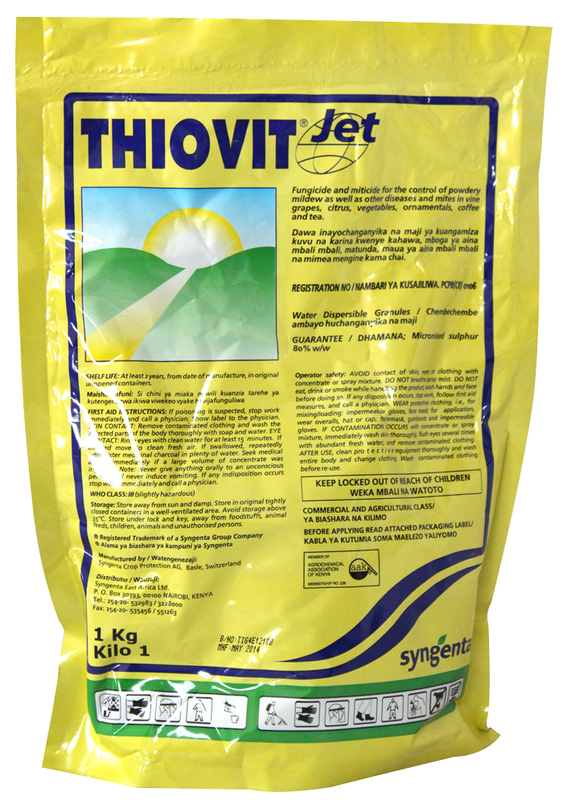 THIOVITJET® 80WG Provides superior contact, fumigant and residual activity against mites and powdery mildew, due to its optimum particle. It's used in a wide range of fruits, vegetables, ornamentals, coffee, tea, cashews and field crops. Highly effective against powdery mildew. It prevents and corrects sulphur deficiency. Safe to the user because of dustless formulation. TILT® 250EC is a broad spectrum foliar fungicide with contact and systemic properties for the control of fungal diseases in wheat and barley. Broad Spectrum:Tilt gives the crop protection against a wide spectrum of important diseases of wheat and barley. Crop tolerance: When used according to our recommendations Tilt is well tolerated by both wheat and barley. Compatibility:Tilt is tank-mix compatible with major commonly used pesticides. 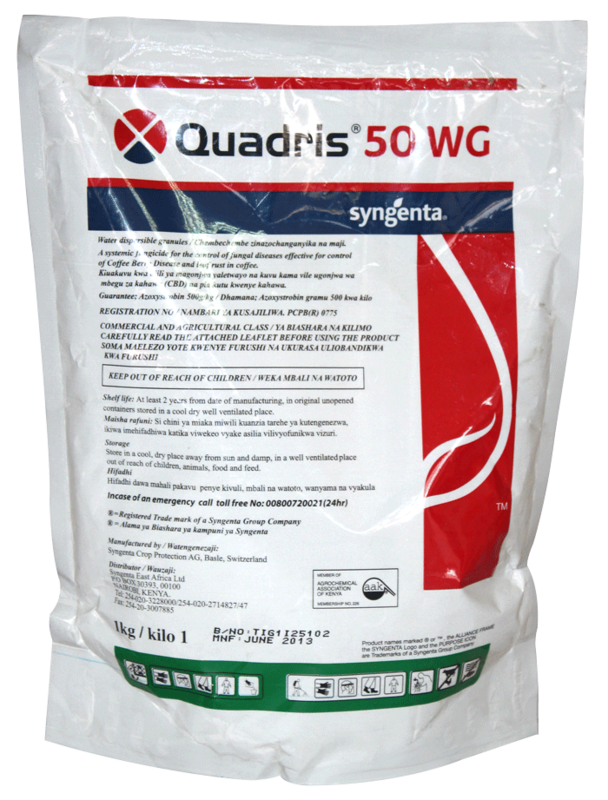 Enhances the crop's ability to uptake Nitrogen leading to bigger produce. Helps the plant cope with water stress.